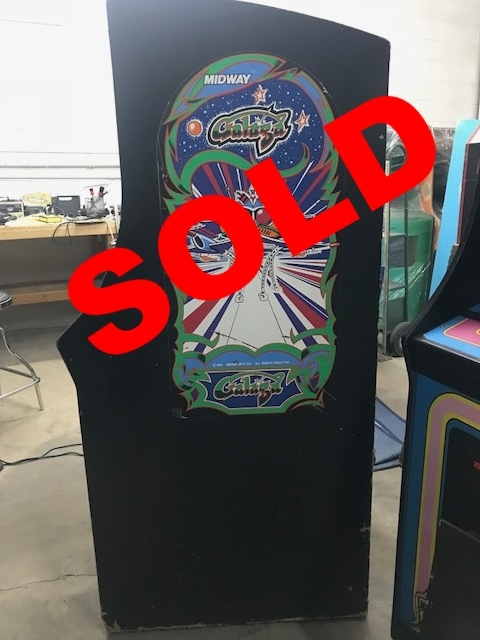 Sale — Geekon | Albuquerque | Arcade Repair | Pinball Repair | Video Game | Buy | Sell | Trade We offer video arcade game and pinball machine repair services in Albuquerque, NM. The player's ship flies over a horizontally scrolling planet surface, protecting friendly humanoids from alien abduction. Destroying all enemies advances you to the next wave. Loss of all humanoids destroys the planet until it is reinstated every fifth wave. The player drives a Ferrari F40 across the USA. There are 16 stages to complete. Fully Working Midway Pacman with and upgraded board that plays 60 classic games in one cabinet.